Sway�s promotion charge continued as they emerged victorious from a tightly contested game at a drizzly Lapstone Park. Fielding first, Sway made a couple of early inroads thanks to a sharp catch by Thorpe off D.Steadman (1-30) and a yorker from Grasham. But a 50 partnership from Kemp (11) and Smith (58) left Fair Oak in a good position of 94-2 at drinks. There must have been something in the water, as Sway immediately struck after drinks through Josh Bailey (1-37). Fellow spinner Walton (0-22) bowled with great control to tighten the run rate but it was the introduction of Dan Bailey (5-20) that turned the game in Sway�s favour. An excellent spell, supported by some good fielding including catches from T.Steadman and L.Scott ripped through the Fair Oak batting order leaving them on 180-9 at tea. In reply, Sway made an assured but watchful start against disciplined bowling from Eley (1-20) and B.Smith (0-36). The only tension arose from the ominous clouds which meant Sway had to be mindful of staying ahead of the run rate. It was Salmon (2-45) who got the breakthrough, leaping high to take Marshall caught and bowled for a stylish 32. 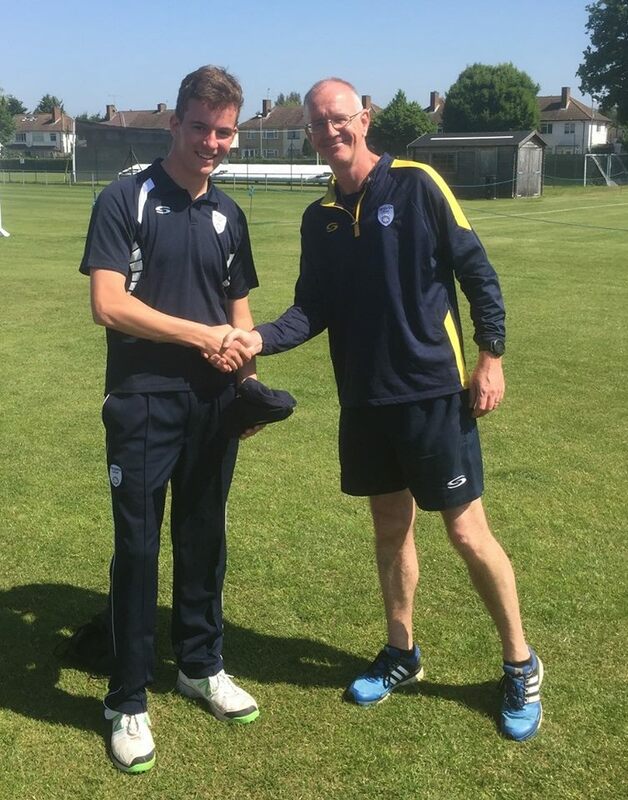 In came J. Walton (32) to play a supporting role to A.Hall who carried his bat for 69 in a fine captain�s knock. In the end, it was a few lusty blows from D.Steadman (23 n.o.) that finally put the result beyond doubt, as Sway ran out winners with 3 overs and 7 wickets to spare.